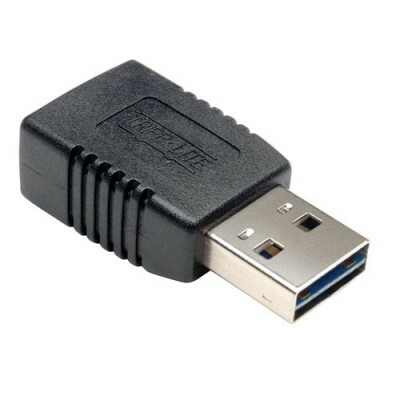 Tripp Lite's UR024-000, USB Male to Female adapter, features a Universal / Reversible Male end which allows the adapter to be plugged in any direction on a computers USB port. Add this adapter to a standard USB cable, and convert it to a Universal pluggable cable. USB2.0 rated for 480mbps transfer rates. Fully molded, with gold plated contacts for a lifetime of use.